Amazon & Book Depository links are affiliate links. It's been a while, hasn't it? I've a dozen posts sitting in drafts, waiting to be finished. Truth be told, I've lost my reading mojo of late - since Repeal, I find it very hard to just sit and relax. I also feel like at this time of year I need to be doing several things at once. 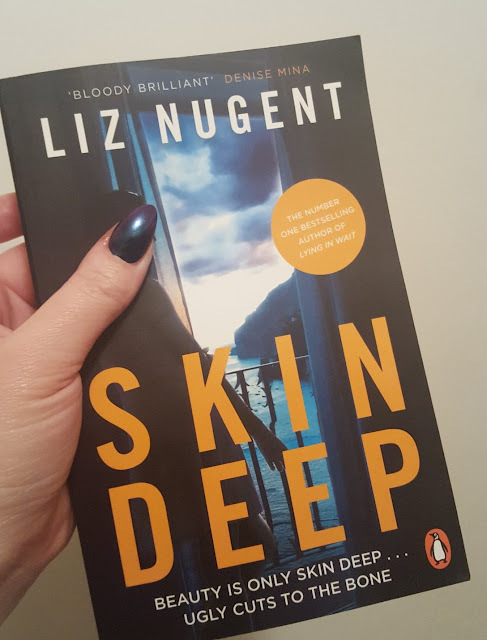 When I was asked a while ago if I wanted to be part of the Blog Tour for Liz Nugent's third novel, Skin Deep, I was only to happy to say yes. Selfishly, I hoped that the novel would help me get out of my recent rut and back into reading. I'm already a huge fan of Liz - while her debut Unravelling Oliver left me wanting slightly more, her second novel Lying in Wait had me hooked from the off and became one of my favourite books of 2016. This is her third novel, another thriller/crime. Cordelia Russell has been living on the French Riviera for twenty-five years, passing herself off as an English socialite. But her luck, and the kindness of strangers, have run out. The arrival of a visitor from her distant past shocks Cordelia. She reacts violently to the intrusion and flees her flat to spend a drunken night at a glittering party. As dawn breaks she stumbles home through the back streets. Even before she opens her door she can hear the flies buzzing. She did not expect the corpse inside to start decomposing quite so quickly . . . I never know what to expect when I go into one of Liz' books - she knows how to do a shocking opening line to hook a reader in. We are introduced to Delia, who appears to have landed herself, to put it mildly, in hot water. We begin in the present day and go back to Delia's beginnings on a small island off the coast of Ireland - with a father worringly obsessed with her and a mother feeling trapped and longing for freedom. Back-and-forths are quite common in novels, especially thrillers or crime - I always feel like the sign of a good one is when I get completely sucked in to the past and then get a bit of a land when we go back to the future - and this is what happened here. While the events of the present were intriguing and kept me wanting to read more, Delia's past was just completely addictive and I felt like I was there on the island, overhearing conversations with Tom Crow and spying on Delia's family. She's an incredibly intriguing character from the first moment she appears on the page. I don't really want to spoil too much of the actual story, because Liz is a master writer and I feel like the best way to go into one of her books is blind - but I'm telling you, honestly, that if you're in a reading rut, this is the one to break it. 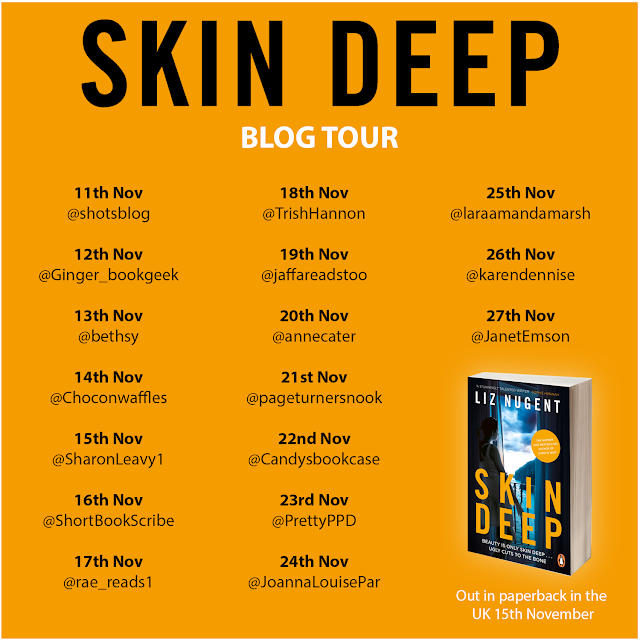 I genuinely could not put it down, and I offer sincere thanks to Georgia at Penguin Random House for asking me to contribute a post to the blog tour - I purchased the kindle edition when it was released back in April and it has sat, waiting for me to read it. I'm kicking myself that I left it this long, but it's the perfect kind of book to curl up with as the weather gets colder and the evenings get darker. If you're looking for a great book to give as a Christmas present, I'd strongly consider this - it's currently (at the time of publishing, November 15th 2018) part of 25% off promotion at Eason, plus it's available from the retailers below. I don't know how Liz does it, but I can't wait to see what she comes up with next. Highly recommended, one of the best thrillers I've read in years. 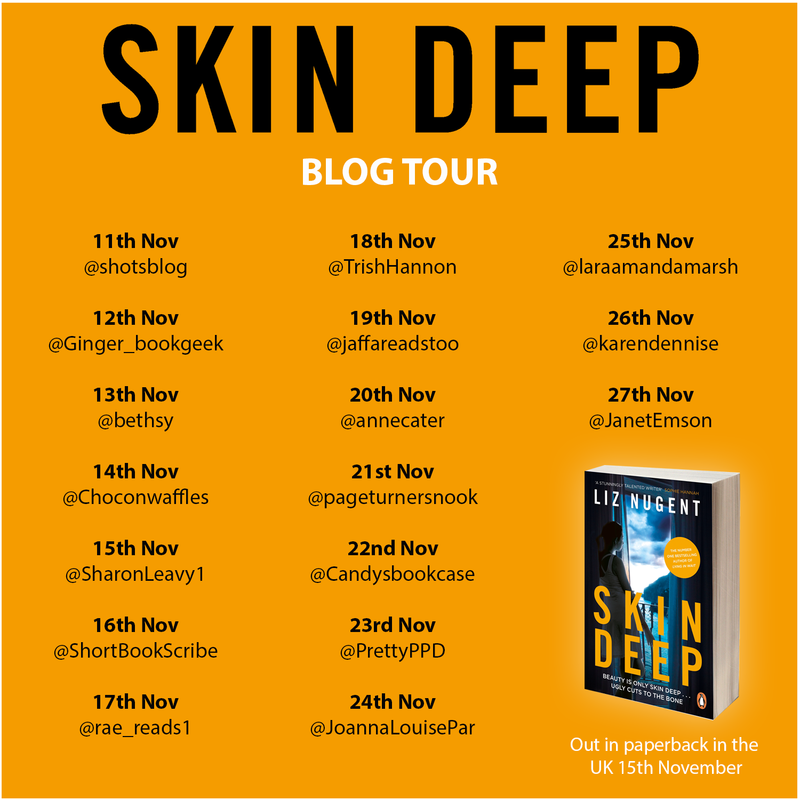 Please do check out the other stops on the Blog Tour - while today is the official publication day for the UK paperback edition, there are many brilliant bloggers involved over the next couple of weeks who will be featuring their own insights, extracts and giveaways.